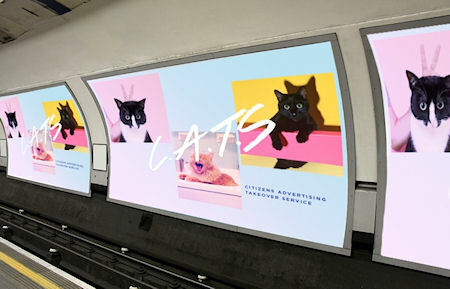 A fun Kickstarter project called The Citizens Advertising Takeover Service (CATS) is going to replace every single advert in a London tube station with pictures of cats. So you don't have to worry about the holiday you can't afford, the car you don't need, or the body you don't have? Imagine a world where public spaces made you feel good.